Better specificity compared to mouse monoclonal antibodies. High affinity--typically, rabbit mAbs have 10 – 100 times higher affinity than mouse monoclonal antibodies. Lot-to-lot consistency due to recombinant technology. Great Stability--rabbit IgG has extra disulfide bonds in the variable region of the heavy chain; an extra disulfide bond also exists between Vκ and Cκ. These extra disulfide bonds may result in the great stability and long shelf life of rabbit antibodies. Animal origin-free formulations, the result of production by cell culture. 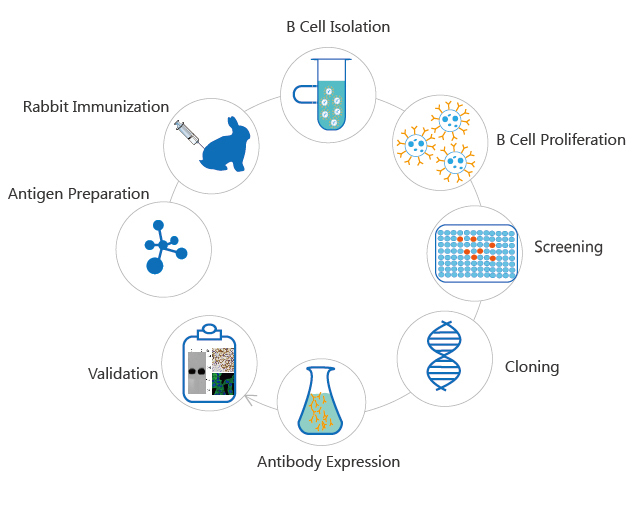 Our recombinant rabbit monoclonal antibodies are developed by immunizing animals, screening for functionality, and cloning the immunogen-specific antibody genes into high-level expression vectors. The antibodies are produced on a large scale by expressing them in mammalian cells, and purifying them with protein A.
CD rabbit recombinant monoclonal antibodies are validated and characterized by multiple applications. This extensive validation process allows confidence in target specificity, without any need for optimization. Examples of their application are shown below. 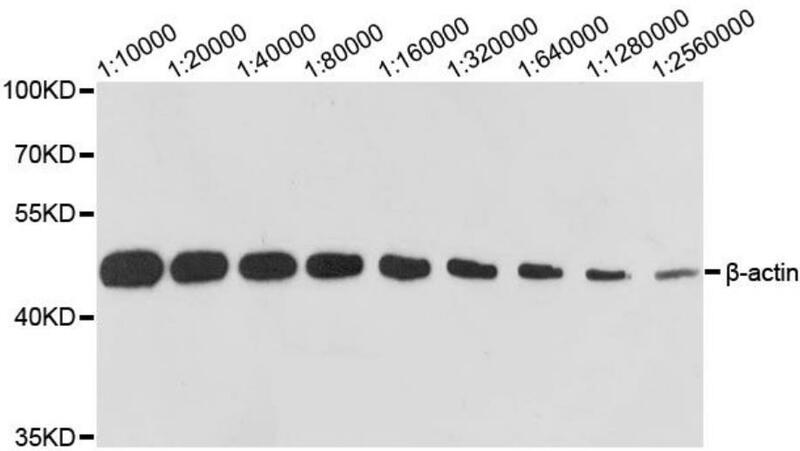 Western blot analysis of extracts of HeLa cells, using β-actin antibody (CABT-L1115) at 1:10000-1:2560000 dilution. 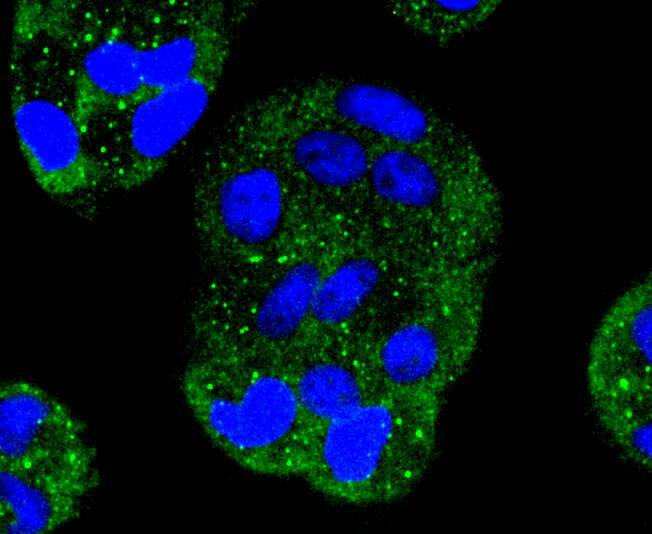 ICC staining MAP2K1 in Hela cells (green), using Rabbit Anti-MAP2K1 monoclonal antibody (DCABH-9421). Cells were fixed in paraformaldehyde, permeabilised with 0.25% Triton X100/PBS. 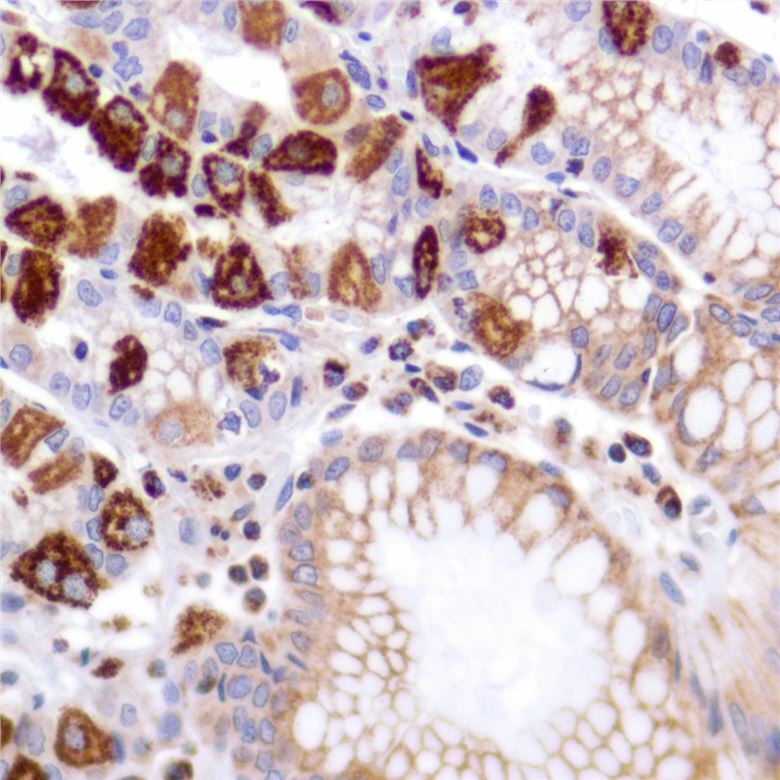 Human stomach stained with Rabbit Anti-Human PDK1 monoclonal antibody (CABT-L1816). 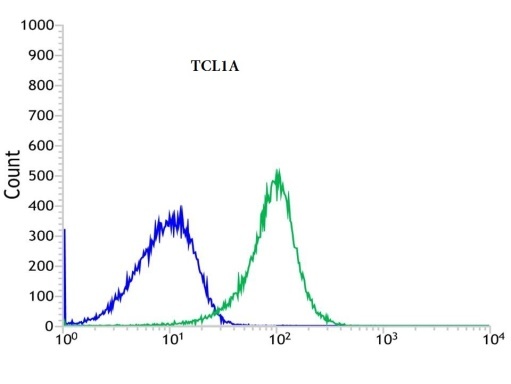 Flow cytometric analysis of rabbit anti-TCL1A antibody (CABT-L1861) in RAMOS cells (green) compare to negative control of rabbit IgG (blue).